Captain Davy Jones has captured a pirate ship and stolen the crew's souls. The souls are kept in rum bottles. Only one has survived on the ship, and he's a parrot. 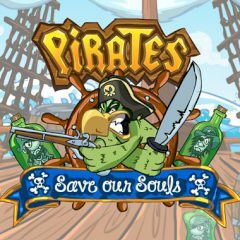 Help the brave bird to save the souls of his owners.